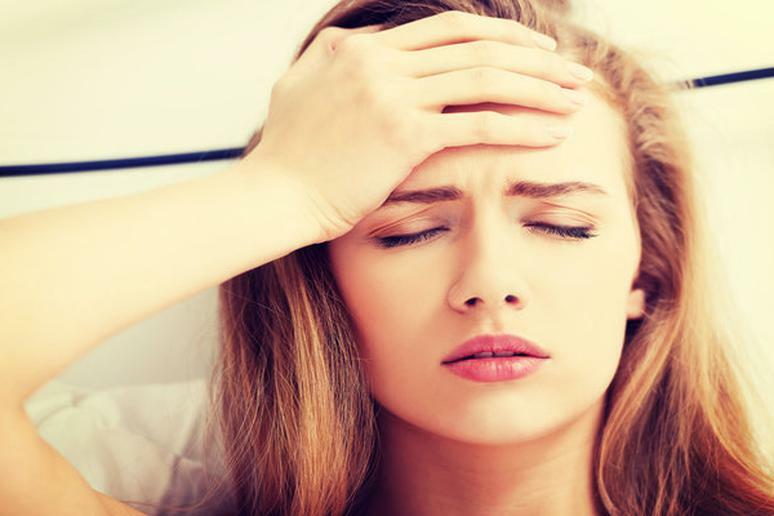 The dreaded migraine... Are you experiencing it? The dreaded migraine… Are you experiencing it? Maybe you are just undergoing a sinus or cluster headache. For faster treatment, it’s important to be aware of the difference. Have you been feeling sick? Maybe your mood has been off balance and your neck has been hurting. You may be experiencing a migraine. If you are encountering a migraine you are withstanding the worst of the worst. This is because a migraine does not only affect your head; it has an effect on your body. Read below for the Signs that you may be having a migraine. Have you been feeling irritable? Maybe your mood has been changing out of nowhere or you have been feeling yourself falling into a state of depression. These are signs of a migraine. Try to heat healthier, drink more water, and practice meditation. Are you having trouble falling asleep? Maybe you are experiencing difficulty waking up in the morning. This could be due to the symptoms your enduring due to your migraine. But, it is important to remember, lack of sleep can also aid in the frequency of your migraines. Those who suffer from migraines usually experience watery eyes, itchy eyes and a stuffy nose. Alone this could be considered a sinus headache. However, when other symptoms such as nausea, sensitivity to lights, and throbbing pain are involved, it is most likely a migraine. If you are experiencing a throbbing pain on one or both sides of your head it is likely you are experiencing a migraine. Neck pain is usually part of the early stage of a migraine. According to Migrane.com, “Neck pain can include the muscles or nerves in the neck. The neck discomfort can also occur in the bones of the spine or the disks that cushion the areas between the spinal bones. It can also feel like the migraine is in the base of the neck. Other say it feels like a migraine headache that radiates from the neck to head. Bright lights and loud noises are often migraine triggers. Especially avoid these if you are already experiencing a migraine, as they will only make it worse. Tip: wear a hat or sunglasses to avoid the bright lights. Also, try ear plugs for the loud noises.